Fun Zone Brings the Fun To You! Fun Zone's experienced party planners and staff can help plan, set up, run, and tear down your next party - big or small - with ease. 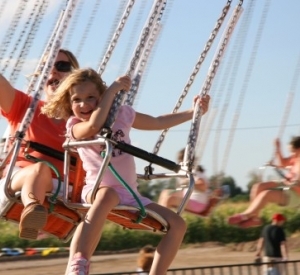 Our inventory of more than 500 classic carnival games and rides, extreme inflatables, and group activities will delight your guests and eliminate your party-planning stress. What Size or Type of Party Are You Planning? Are you planning a birthday party, quinceanera, shower or just a fun night out with your friends? Read Our Party Planning Tips for Groups of 30 or Less. Are you planning your next block party, church event or small business fun day? Learn about making your next party for 40-75 people a success. 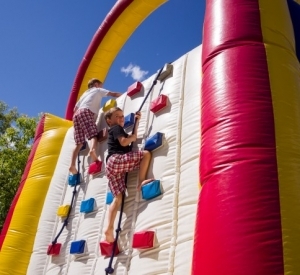 We have all the best games, rides and more for your next mega church or corporate fun day. Find all you need for your next party for 75+ people. We not only provide insurance coverage for your guests, but we also guarantee all our rides and games are certified and pass state safety inspections. Fun Zone is Level 1 NAARSO certified, which allows our trained specialists to perform our own certified inspections before every event. Additionally, we provide an experienced master attendant on site to ensure your guests have the time of their life ─ safely.